Those of you familiar with our mission at Sunset Ranch know that we’ve been working on an Environmental Learning Center (“ELC”) now for quite some time. We wish we could move faster, but permitting takes time and of course we want to make certain we do this right. All that said, we do have some good news to share: our use permits for our proposed farming efforts at Sunset Ranch have been approved. We are now in the process of finalizing the design and build out of the facility. Once our building permits are received, we will be well on our way. The current design of the ELC includes: (i) a welcome center, (ii) a Native Hawaiian Nursery (a separate section of the ELC, and discussed in a previous blog), and (iii) an aquaponics facility. 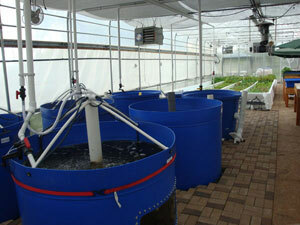 So as it relates to Farming at Sunset Ranch, aquaponics is where our primary focus will be. A highly productive method of farming for any resident in Hawaii. We want to educate the local community and Hawaii’s visitors on what aquaponics is, why it is a viable farming method, how it really works, and how best to use it to supplement existing food intake. 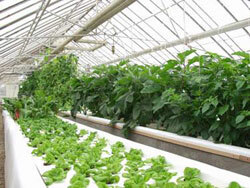 We will also go so far as to say that we hope, for some, aquaponics will become a primary food source. As we’ve stated in the past, we believe Hawaii has a five to six day food supply in the event of any natural disaster or economic crisis. The fact of the matter is, we need to be better prepared. We simply rely too much on those ships arriving into Honolulu harbor each and every day. This dialogue has been on-going for quite some time now. We understand that. But the truth is, for the most part, we continue to just talk about it and go on living as we always have. Times are a changing. We need to take more proactive steps towards addressing this problem, and making sure we’re prepared to take care of ourselves in the event of a crisis. It’s about paving the road to self-sustainability. At Sunset Ranch, we simply want to be a part of that road. While our primary focus is on education; we also plan to develop an aquaponics system that can be purchased and easily transported and assembled in an urban setting. This is critical to our mission at Sunset Ranch. The pictures you see on this blog are of a large facility. Believe it or not, however, there are small backyard systems, and even balcony systems, that can provide you with a significant amount of food. We want to create a system that you can fit in your car, you can assemble at home, and get busy making food. In our opinion, knowledge is quickly lost if not put to regular use. We want you to actively put to work what you learn at Sunset Ranch. On a daily basis. Better yet, we want it to be part of your daily routine. Yes! Brush your teeth, and then go check on the tilapia before you run off to work! When it comes to taking care of ourselves and the community in which we live, there is nothing more important than getting actively engaged and beginning to contribute in ways that help make a difference. Again, we’re hopeful that our product offering will enable visitors to take what they learn at Sunset Ranch and put it into active use. As many are aware, there are a lot of farmers doing aquaponics throughout Hawaii. And many are VERY good at it. In fact, many of them are responsible for introducing us to, and getting us excited about, this great farming method. A farming method that has been around for quite some time. 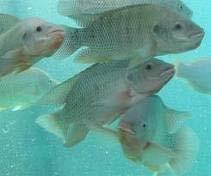 At Sunset Ranch, we want to create real excitement around aquaponics. We understand. People can only get so excited about growing fish and vegetables, right? Wrong. We want to make it cool! We want to make it the next hot trend not only for the farming community, but for every resident in Hawaii. A bit ambitious, yes. But possible. Our hope is that our facility experience, combined with our product offering, will make this vision a reality. Again, the ultimate goal is to help start creating that path towards self-sustainability for the residents of Hawaii. So what do you know about aquaponics? At Sunset Ranch, we truly believe it is the way to a sustainable future in Hawaii. As we continue to work towards finalizing our Environmental Learning Center, please contact us to discuss any and all ideas and thoughts you may have to make this facility like no other. We appreciate any and all feedback. Mahalo nui loa for your continued support!